Many across the African continent have not always viewed America in a positive light. After years of a non-coherent strategy full of aid and security concerns, and a relative lack of attention from the US policymaker's perspective, we are witnessing a new era in US-Africa relations where Washington truly appears committed for the long haul. Although still a component of bilateral relations with some African countries, the aid approach to development is slowly diminishing. Countries like South Africa are 'graduating' from America's emergency AIDS programme PEPFAR with funds scheduled to slowly disappear as Pretoria takes control of the pandemic. It is increasing trade, investment and creating jobs for the booming African youth population that is now seen as the crucial aspect needed to help bolster economies. Economic growth is not the only game in town. Serious security concerns continue to run rampant across Africa, yet many African leaders/citizens are against more US military involvement in Africa. Despite this point of view, American involvement in Africa from both a security and economic viewpoint is set to increase in the future. Washington's new policy on Sub-Saharan Africa, the number of newly launched African initiatives, and recent high level visits are all indications of such movement. We see America sticking to their strategy, and in some ways, in my view, going beyond it. Feed the Future, Power Africa, Trade Africa, Doing Business with Africa Campaign and the Young African Leaders Initiative (YALI) are a number of new programmes recently established, aimed at a more positive and cooperative relationship between the US and Africa. US Secretary of State John Kerry recently completed his first official tour of the African continent. Unlike President Barack Obama's African tour in mid-2013, there was no big fanfare, no camera crews; just difficult situations and conversations from South Sudan and African Union (AU) peacekeeping missions to Kabila's DRC and Dos Santos' Angola. We once again remembered how difficult and dangerous situations in Africa can be after the horrific school girl abduction hit the news. #bringbackourgirls has become the polar opposite of Kerry's Africa visit, and has put a small dent in the Africa Rising narrative. Together with its African counterparts, America has thrown some of its weight behind the fight against Boko Haram, AQIM and al-Shabaab, and others. It is specifically helping Nigeria, a strategic ally on the continent, with the US military, FBI and other agencies providing intelligence, hostage negotiations expertise and other counterterrorism assistance. This is not a new fight. Al-Qaeda has had a strong presence in Africa since the early 1990s. Osama bin Laden had his headquarters in Sudan from late 1991 and Al-Qaeda established a limited presence in Somalia soon after, with operatives arriving in Somalia in 1991 and 1992. Their mission was to initiate relations with Somali jihadists, as well as to assess the idea of having a permanent base in the country, although we now know that Sudan became the country of choice. Much has changed since this time and ultimately it is about economic development, which in turn makes it harder for extremist groups to recruit their unemployed followers. It is obviously not that simple, but the main point is that these US developments are significant, especially when one zooms out to see exactly how small Africa's current slice of the American economic pie really is. Examining economic data from the US Census Bureau Foreign Trade Division, America's total world goods was US$3.836 trillion dollars with exports at US$1.569 trillion and imports at 2.267. Of that only US$35.038 billion was American exports to Africa with US$50.076 billion being imported goods from Africa into the US. Estimates by the US National Intelligence Council (NIC) envision Africa's GDP to increase compared to the rest of the world, although it does expect it to rise above 3 per cent. 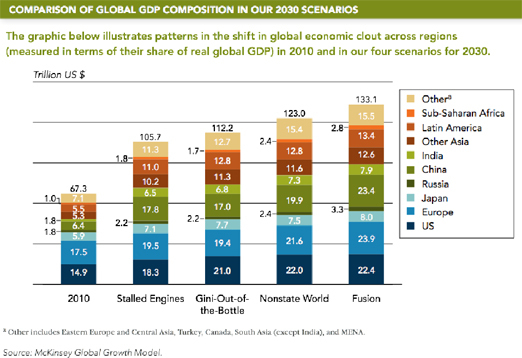 The NIC's latest Global Trends 2030 published in December 2012 stimulates thinking about the rapid and vast geopolitical changes characterising the world and puts forth global trajectories over the next 15 years. The US wants to use this low base and increase these numbers, and in particular, their exports to the continent and create American jobs. Doing this requires more societal contact and business-to-business activities between the two entities as well as positive political relations. US President Barack Obama hopes to fast track the positive momentum starting this June 2014. Young Africans chosen by the US governments as part of Obama's Young African Leaders Initiative will be departing for Washington in mid-June and returning in August. The full 500 delegates will meet President Obama on July 28-30, for a Presidential Summit. This will be followed by the first ever US-Africa Leaders Summit on 05-06 August in Washington. There is much to discuss including economics, good governance, and human rights. We assume, like most summits, most of the real action will take place in nearby hotels and restaurants where African and American diplomats, CEOs, entrepreneurs meet behind the scenes. However, the leaders themselves should focus on creating jobs and ensuring security. The two are intertwined; an almost a catch 22 situation. Without security there are no jobs and investment. However you need employed youth and infrastructure to help limit the security issues such as gangs, organised crime, extremist groups and overall safe havens for both global criminal and terrorist networks and local insurgents. US Secretary of State Kerry said in his speech in Addis, in "too many parts of the continent, a lack of security, the threat of violence, or all-out war prevent the shoots of prosperity from emerging. The burdens of past divisions might not disappear entirely, my friends. But they must never be allowed to bury the future. The African Union's commitment to silence the guns of Africa by 2020 is an ambitious goal. It is the right goal." With that said, the US President and African leaders must take the necessary steps forward to make the AU's goal a reality, but there is much more accomplish. The NIC report argues many African countries have the opportunity to greatly advance while others are likely to be left behind, creating a more diverse Africa in 2030. There are many reasons behind this statement, dependent upon numerous variables and circumstances. Regardless, it is clear more cooperation is needed in order for Africa to deal with its rapid urbanisation. More has to be done about climate change and subsequent migration as it is likely to affect Africa far more than most because of the dependence on agriculture. Although great strides are being made like the YALI program and Power Africa, more has to be done about disproportionate levels of young men and women without work and on infrastructure development. More has to be done on education at all levels: primary, secondary and tertiary. Education alone will make or break certain African countries. The US-Africa Leaders Summit is a start, but it is not going to fix the plethora of problems, many of which the US is battling with themselves. There has to be more cooperation between local African police departments and the US local city and state police agencies. There has to be more cooperation between US and African schools and universities. There has to be more frequent meetings between city mayors to discuss issues like climate change, crime and others. We have seen some previous movement in this regard. The US Conference of Mayors sent a mission to Africa in 2003 in order to meet the challenges in fighting HIV/AIDS. A high-powered delegation from the AU Commission of the African Union met with the leadership of the National Conference of Black Mayors in 2012. I have read about a US-Africa Higher Education Initiative, to support partnerships between US and African tertiary institutions. What were the outcomes? Are the programmes working? If the answer is yes, why are there not more of them? If the answer is no, why and lets tweak them so they do work and make a significant impact. Africa also has to take the lead and initiate programs like Obama's YALI. Perhaps an idea is to run a similar program but bring young American entrepreneurs to Africa and study at African universities for a short period of time -a Young Americans-Africans Partnership (YAAP). Let the innovative youth of the US see the opportunities with their own two eyes and help train individuals on African soil, in addition to sending 500 young African leaders to Washington each year. Africa's size is immense and the continent is underdeveloped. And there is enough room for the US and others like China to be involved. However, there has to be a better understanding of who is doing what in Africa, especially from a macro perspective in order to grasp the true steps forward for regional integration as well as overall progress of how the entire continent is intertwined. There is a lot to say and a lot to do, but one thing is for certain, 2014 will be the year when Africa took Washington's summer months by storm. 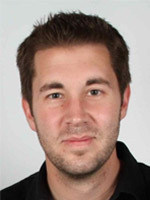 Dr Scott Firsing is a current research fellow at the IGD. His research focuses on United States-Africa relations, and the international relations of Africa more generally. His other current appointments include serving as the Director of the North American International School (NAIS) in Pretoria, the Director of Public Engagement at the Aerospace Leadership Academy and CEO of a research consultancy LINK Advisory. Dr Firsing is also an Adjunct Research Fellow at Monash University, South Africa where he previously served as a Senior Lecturer and Head of the International Studies Department. The founder of the African NGO Young People in International Affairs, Scott is a former employee of the United Nations, Department for Disarmament Affairs, and a former Bradlow Fellow at the South African Institute of International Affairs (SAIIA).